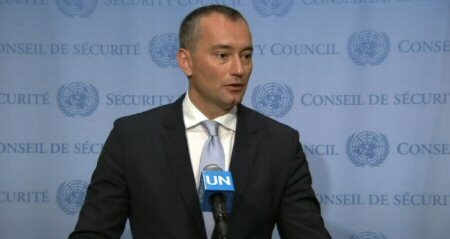 United Nations Special Coordinator for the Middle East Peace Process Nickolay Mladenov condemned, on Sunday, the murder of a Palestinian woman by extremist Israeli settlers in the occupied West Bank. In a statement, Mladenov said, according to Days of Palestine: “I condemn this Friday’s attack in the occupied West Bank in which a Palestinian woman, Aisha al-Rabi, a mother of eight, was killed and her husband was injured by stoned thrown by Israeli assailants. “My thoughts and prayers are with the family and friends of Aisha and I wish a speedy recovery to her injured husband. “I take note that an investigation has been initiated and call on the Israeli authorities to ensure that those responsible are swiftly brought to justice. “Such attacks only seek to drag everyone into a new cycle of violence that would further undermine the prospects of peace between Palestinians and Israelis.